When Thorin and his company of Dwarf loyalists reclaim the Lonely Mountain from the Dragon Smaug, the quest to take back their home and treasure becomes a mission to defend it. The survivors of Lake-town and an army of Elves from the Woodland Realm sit encamped upon the doorsteps of Erebor, threatening to lay siege to what Thorin considers his alone, by right. 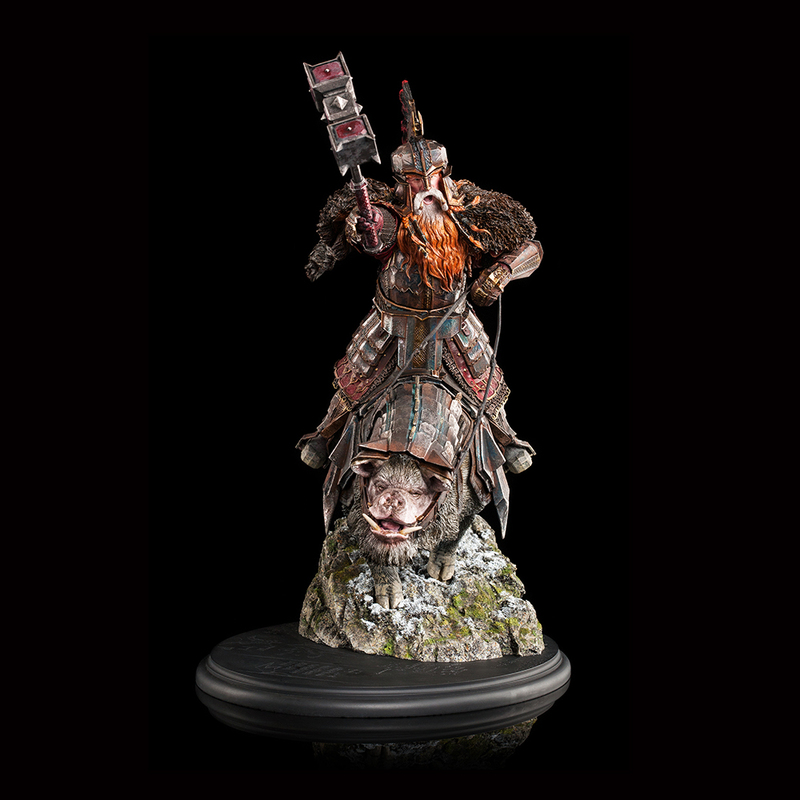 A raven is dispatched to the east, calling Thorin’s cousin Dain Ironfoot to join the fight. 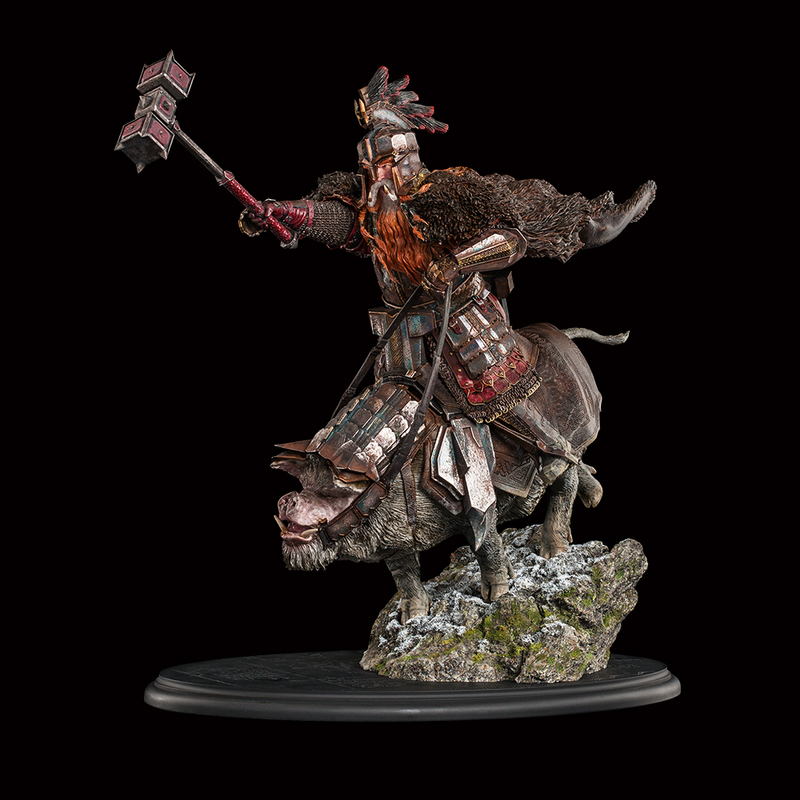 With an army of several hundred doughty Dwarf warriors at his back Dain rides his burly war pig boldly onto the battlefield to confront his enemies. 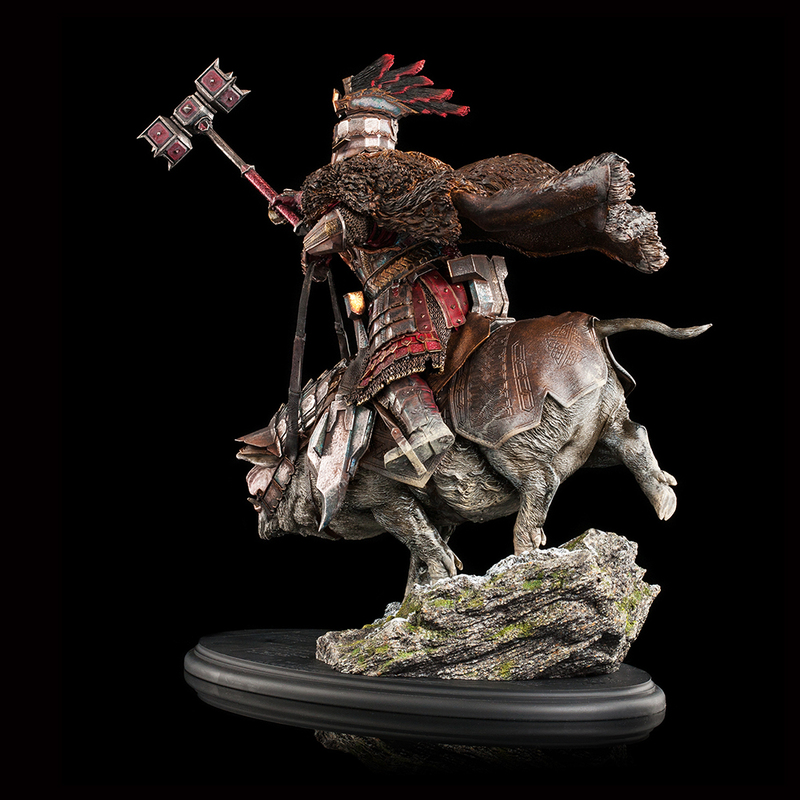 Taunting Thranduil, King of the Woodland realm, the wild-haired, armour-clad Dwarf Lord of the Iron Hills is spoiling to match his red hammer against the smug Elf’s blades. Please Note: Images are of a pre-production prototype. 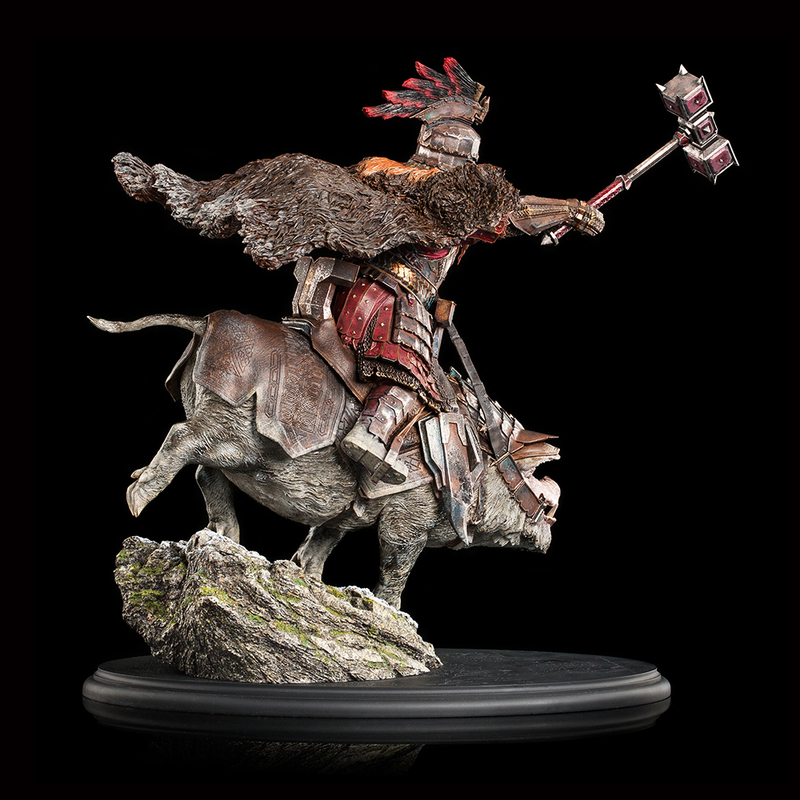 Each collectible statue is hand painted and variations will occur. 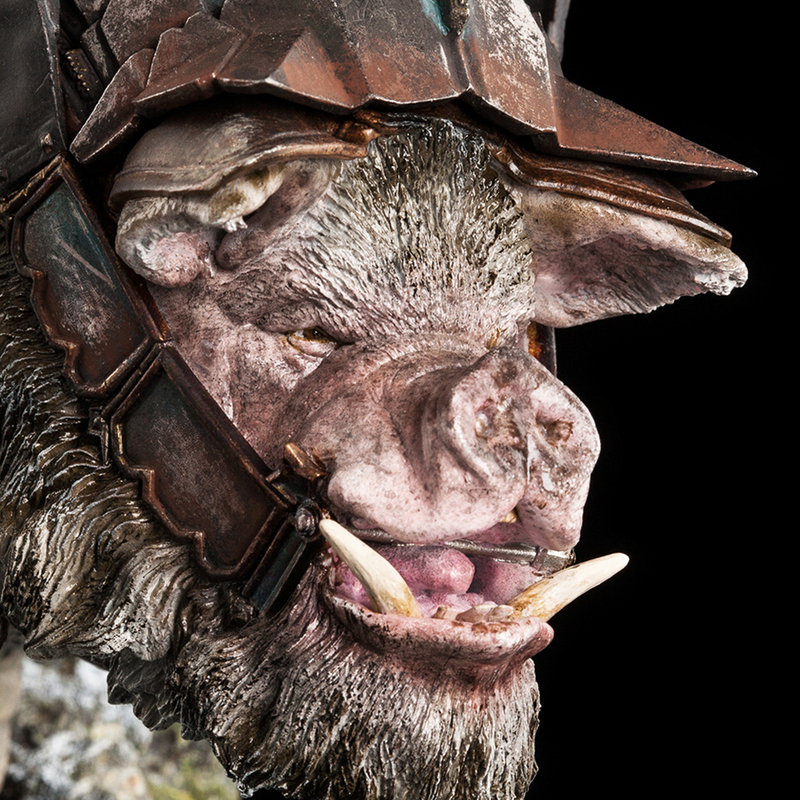 Weta Workshop’s high-quality collectibles are made by the very same artists and technicians who work on our movies. 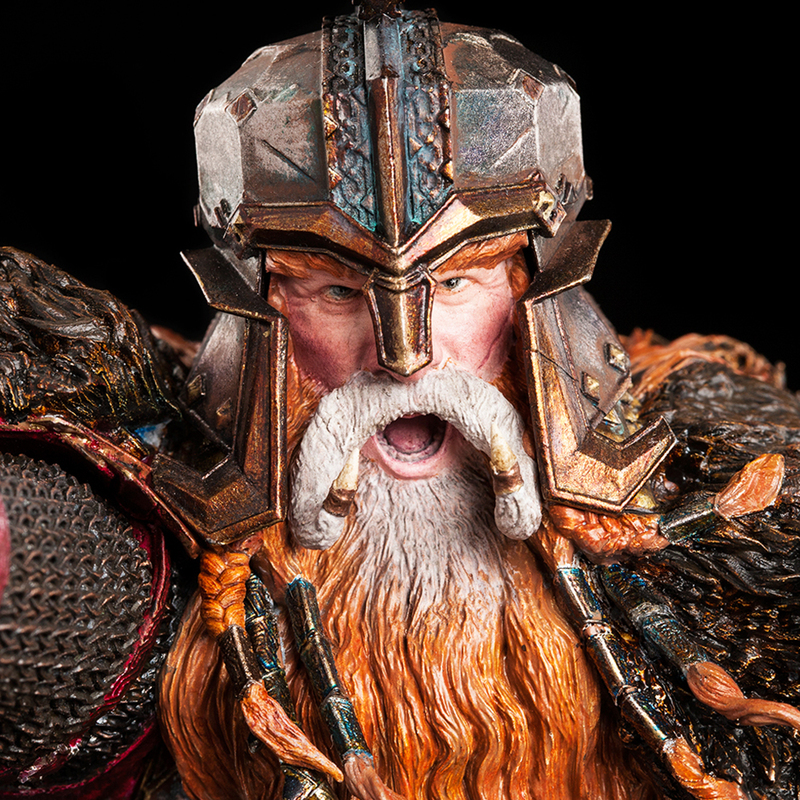 It takes 400-500 hours to design, sculpt, model make, mold, and paint the prototype for each new Middle-earth piece. Whether it be a prop replica, beautiful environment or iconic character, we treat our collectibles with the same level of care and attention to detail that we bring to our film work.